Feral domesticated male. April 14, 2013 at Gallup Park, Ann Arbor, Michigan. 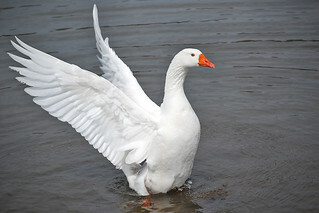 Dutch: grauwe gans; scientific: Anser anser.